Justin Bieber is one year older today! The pop heartthrob turned 23 years old and he’s a little richer than he was this time last year. 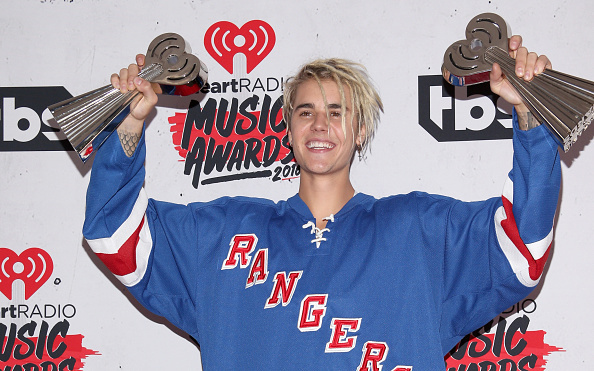 Justin Bieber has amassed a fortune of $245.0 million in his career, so far. Justin Bieber celebrates his 23rd birthday today (March 1). 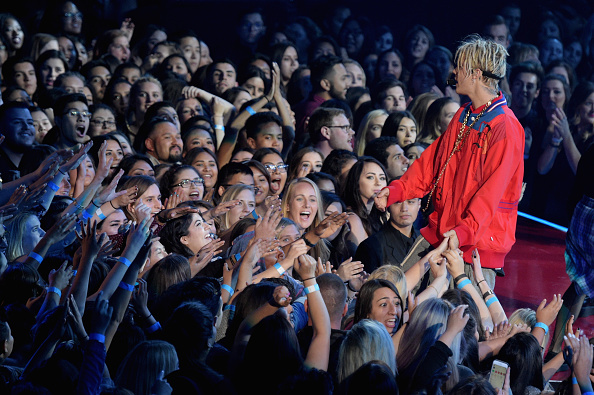 Not only Bieber’s age, but his wealth has also increased over the past year, thanks to his record-breaking Purpose World Tour and album sales. It’s incredible that at a young age, he’s already got a string of chart-topping hits, multiple awards, and a huge loyal fan following. His net worth is a whopping $245.0 million. 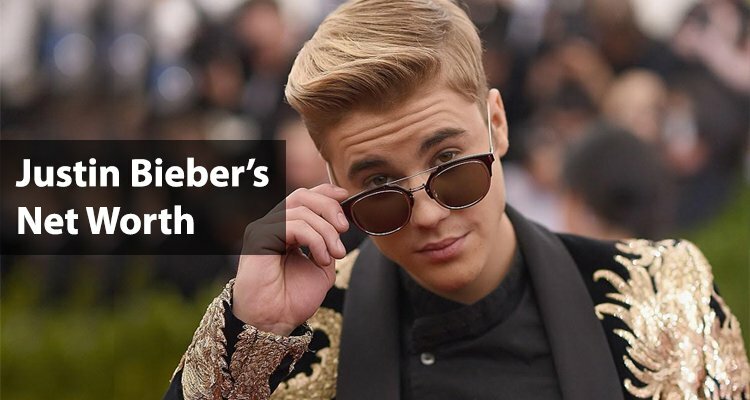 We have a systematic breakdown of the singer’s wealth and income in Justin Bieber’s net worth. On his 22nd birthday, Justin Bieber had a net worth estimated to be $200.0 million. Now, a year later, his net worth has spiked to $245.0 million. He was featured on Forbes‘ 30 under 30 list for three consecutive years; ranked #6 on the Forbes list of highest paid celebrities under 30; and was #26 in 2016’s Celebrity 100 list. With quite a few years left until he reaches 30, Bieber might be a regular feature on Forbes. How does the Canadian import compare to other young pop sensations in the industry? He’s very close to surpassing Taylor Swift’s $250.0 million fortune this year, and he’s a little richer than Miley Cyrus’ $200.0 million. Compared to his ex, Selena Gomez, her new beau, The Weeknd, and others like Zayn Malik, Charlie Puth, and Nicki Minaj, Bieber’s net worth is substantially higher. The following table shows how Justin Bieber’s net worth measures up to other musicians in the industry. How Much Does Bieber Earn in a Year? According to Forbes, Bieber’s annual income in 2016 was more than $56.0 million. It doesn’t compare to Taylor Swift’s 2016 income of $170.0 million, but 2016 was the most successful year for the young heartthrob. Sales from his Purpose World Tour raked in $19.0 million and his last album, Purpose, was a commercial success earning more than $18.0 million in sales and winning him numerous awards. 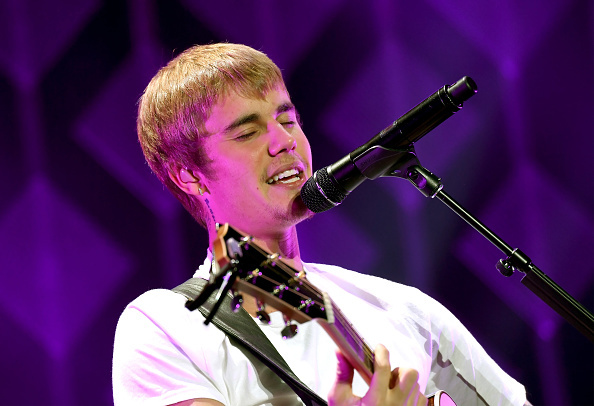 Justin Bieber has been in the studio a lot lately and has shared a few audio clips on social media. So, speculation is rife that he’s working on a new album that will hopefully be out this year. With Bieber fever higher than ever, we predict the upcoming album will be another success for the young singer. The following table shows Bieber’s net worth and earnings over the years. How Does The Biebs Earn His Wealth? The “Sorry” singer’s primary source of income is his music, which includes music sales and concert revenues. But he’s also got some lucrative endorsement deals as well royalty earnings from YouTube. He’s also got business ventures like perfume lines and merchandise sales. Bieber also makes earnings as an investor in small businesses. Take a look at the table of Bieber’s earnings distribution below to know more about his income from different sources. Music is the singer’s main source of wealth. He’s one of the biggest selling musicians today, making his mark with his additive single “Baby” from his debut album, My World 2.0. His latest album was his most successful one yet, earning him his first Grammy nomination since he launched into stardom. Bieber also earns a lot from the digital sales of his singles and tours. Singers get a comparatively smaller cut of the revenue from concerts, as most of the money is spent on production. The Purpose Tour is still ongoing with packed audiences worldwide. Bieber was discovered on YouTube. His mother uploaded videos of a young Bieber singing to the video sharing site, where he initially gained popularity. He caught the eye of Scooter Braun, the man who went on to become Bieber’s long time manager and friend. Even after all these years, Bieber’s popularity on YouTube hasn’t waned. His official Vevo channel on YouTube has gained nearly 13.6 billion views, which guarantees the singer around $7.00 per view and a significant addition to his wealth, in the form of royalties. Here are Bieber’s earnings from his album and singles sales, as well as tours as listed by multiple sources. Another big chunk of Bieber’s net worth comes from endorsements. Major sponsors are willing to drop big bucks to get The Biebs to endorse their products, thus boosting their sales. He has endorsed brands like Adidas and Calvin Klein, teamed up with the shopping app, Star Shop, and is a spokesperson for ProActiv skincare products. Bieber also released the “One Less Lonely Girl” Collection of nail polish in 2010 with nail care company OPI. After fans harassed his then-girlfriend, Sofia Richie, which was followed with a bitter public spat with ex-girlfriend Selena Gomez on Instagram, Justin Bieber deleted his account. However, he made his long-awaited comeback by posting his Super Bowl commercial for T-Mobile. The commercial features NFL pros, Terrell Owens and Rob Gronkowski and has “celebration expert” Justin Bieber ask for your #unlimitedmoves. Bieber was reportedly paid $2.0 million for the ad, while Gronk was reportedly only paid $250,000. The average cost of airing a 30-second Super Bowl commercial is $5.0 million, which means T-Mobile dropped $10.0 million for the Super Bowl ad-slot. It’s safe to say that anything associated with Justin Bieber will have immeasurable lines of Beliebers rushing for it. The singer has cashed in on his fame and has earned millions in revenue from merchandise sales. Bieber has all kinds of merchandise; from hats to hoodies to even toilet paper, people will pay a pretty penny for just because the singer is associated with it! Bieber also launched his own successful line of fragrances. Out of the three fragrances, “Someday,” “Girlfriend,” “The Key,” Justin Bieber’s signature Collector’s Edition fragrance, “Someday” grossed more than $3.0 million in sales at Macy’s alone! The young celeb is also an angel investor, meaning he silently invests in startup businesses and encourages up-and-coming entrepreneurs. Bieber invests in products he believes in and has invested millions in over a dozen small technology start-ups, including Shots, SoJo Studios, Spotify, and Stamped. How Does Justin Bieber Spend His Money? A young star like Bieber is sure to drop a few bucks on a lavish lifestyle. Bieber purchased and sold a few properties over the years, owned a home in Calabasas that’s now owned by Khloe Kardashian, and also had a condo in Beverly Hills, which he has since sold. The “Love Yourself” singer had a few brushes with the law, including complaints of nuisance by his neighbors. Because of this, he purchased a new bachelor pad in Hollywood Hills that he pays a rent of nearly $30,000 every month for. Bieber also owns a mansion worth $10.8 million in Los Angeles. Bieber was raised by his mother, Patricia Mallette, and his father was not always in the picture. When he was older, the pop star kept in touch with his father, Jeremy Bieber. The father and son have since reconnected and Jeremy is now part of his son’s entourage. Justin Bieber has two half-siblings from his father’s side: eight-year-old Jazmyn and seven-year-old Jaxon. Bieber bought his father and siblings a home in Ontario worth $850,000. Though Justin Bieber got his driver’s license just six years ago, he already has a fleet of cars. The long list of cars includes a Cadillac CTS-V, a Fisker Karma, a matte black Range Rover, a 997 Porche Turbo, a matte black Ferrari, a white Lamborghini Aventador, a Ferrari 458 Italia, a Mercedes-Benz Sprinter van, and a Ducati MV Augusta. Bieber’s income is also spent on sorting out his legal issues. His first arrest was in 2014, when he was charged with reckless driving following complaints by his neighbor in Calabasas. He has also been charged with vandalism and egging his neighbor’s home, for which he was ordered to pay $80,900 in restitution. In 2014, he was found guilty of driving under the influence and had to pay a $2500 bond to be released from these charges. The singer is also known for his charitable ventures. He supports Pencils of Promise founded by Adam Braun, Scooter Braun’s brother. Bieber became the campaign manager in Guatemala for this organization that builds schools in developing countries. A part of the proceeds from his concerts, fragrances, and merchandise goes to charity. Bieber raised $3.0 million for the victims of Typhoon Haiyan through the online campaign #GiveBackPhilippines. As part of the plea bargain for his DUI arrest, he donated $50,000 to the Our Kids children’s charity.